My wife and I took the dog over to the dog park at the Wilson Historic District in Dallas. To our surprise, all the roads surrounding the park were blocked. After a bit of investigating, we soon learned that there was a bike race happening. Turns out it was The Matrix Challenge, which is still happening today. 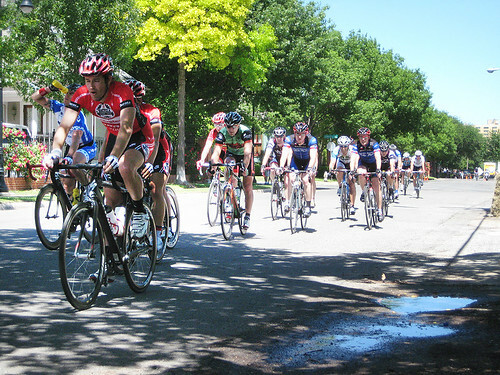 I’m typically not into this type of cycling, which is why this event was off of my radar. I have to admit, it was pretty cool watching these guys roll with such speed and stamina. I might check out a few more of these in the future.